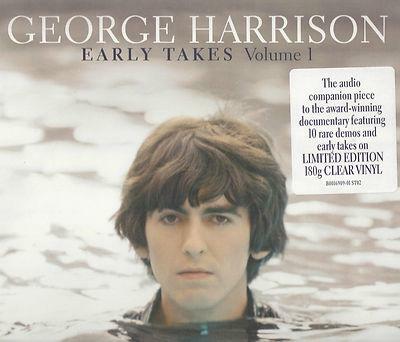 George Harrison – Early Takes Clear Vinyl Ltd. Ed. Ain’t the Internet marvelous? It just keeps on revealing stuff you never knew. Like the fact that George Harrison’s Early Takes Vol. 1 (released on CD and vinyl LP in May last year) has been issued in a limited edition, “translucent green” clear vinyl version as well. Apparently this came out at the same time (or just after) the original, black vinyl release. 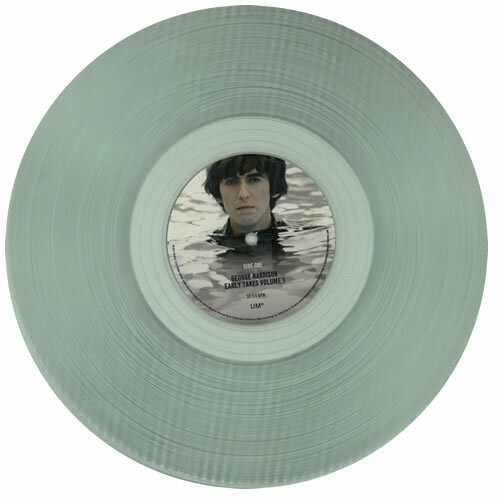 It’s a limited edition LP, pressed on 180 gram clear vinyl and issued by Universal Music. Only 500 copies were pressed. There are a couple of copies for sale on Ebay at the moment – but (predictably) they are pretty expensive. However, a quick trawl around the web found that Universal Music itself is still selling copies at their official UK vinyl site. In fact they are even on sale at the moment, reduced from £24.99 to £17.49. If you, like us, are George Harrison completists you’d best be quick. This entry was posted in Beatles, Beatles Collecting, George Harrison and tagged Beatles, Beatles Collecting, Early Takes, George Harrison, Universal Music by beatlesblogger. Bookmark the permalink.